I love to take recipes and tweak them to make them with healthy, clean ingredients. This was no exception. But, these changes added nutty texture and a really tasty treat! Spray large pan with coconut oil or other good high heat oil. Combine water, almond flour, garlic in a bowl and stir (it will look watery, and since it’s almond flour, it won’t absorb the water well so mix as best you can). Place the raw cauliflower in the bowl of the mixture. Coat each piece and evenly distribute the coating. Remove from oven. 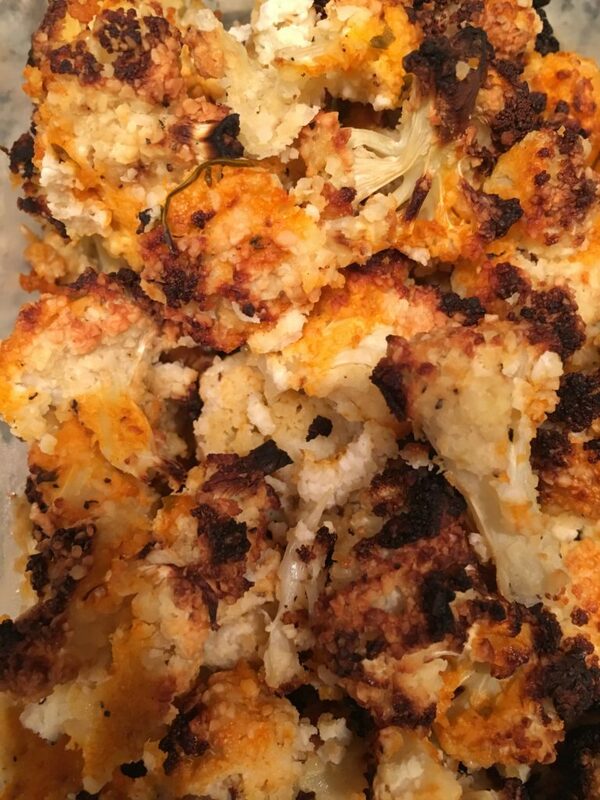 Drizzle the hot sauce evenly over the cauliflower and continue baking for an additional 5 minutes. Serve with celery sticks.